You are either seriously considering missions as your new vocation or you finally gave in and have made that commitment to pursue missions full time. Now you may wonder what you can do to get prepared for such a life-changing venture. Once you apply to Grace Ministries International, you will go through different orientations, perhaps specific training geared for your ministry, and probably language studies. However, you are wanting to know what you can do before all that happens to better prepare yourself and your family to serve the Lord around the world. Maybe you have not even contacted us yet, but you still want to get ready for this next chapter in your life. Here is the best piece of advice I can give: live here and now like you will live there and then. Let me explain this by taking you through a few areas of life where you can begin to live now like you will as a missionary then. Serving the Lord is the Christian norm. It is not a special calling nor is it something you begin doing after you pick up your luggage in customs in your new host country. It is something you do now and forever because you are saved. Not writing to pastors or missionaries, but to everyday believers in the church at Ephesus the Apostle Paul writes, “walk worthy of the calling with which you were called” (Ephesians 4:1). We were called through Christ’s death and resurrection—the ultimate and only sacrifice available for our sins which had eternally separated us from God. That’s quite a call-ing! Not only does this implore all of us to live honorably and righteously before God in this world, but if you want to serve the Lord on the mission field, you need to practice now what you hope to do then. Are you discipling others now? Are you teaching or leading Bible studies? If you are inclined to serve or are talented at administration, how are you using these gifts for the Lord now? Do you share the gospel with others or are you waiting until you reach the field before you exercise your “calling” to do so? God desires that all men be saved (2 Timothy 2:4) and He has given us the privilege of sharing the gospel of the grace of God until He returns. Let’s take advantage of the opportunity now!You may have a full-time job which you believe makes it nearly impossible to give much time to the Lord. Remember, when you are on the field you will be the full-time missionary encouraging people who are working 40, 50 or 60+ hours a week to give of their time to the Lord. Not only do you want to practice good ministry habits now, but it is not a bad idea to put yourself in the shoes of those local believers with whom you will be working on the field. Much of mission work requires initiative and intrinsic motivation. There usually is not going to be someone around telling us what to do or how to do it. While not all of us are leaders of others, we can all practice a degree of independence. What I mean by that is simply getting the job done as if it depends on us alone, doing it well as if no one else is looking, and seeing it through to the end. This is a skill and a work ethic which is learned and refined through practice. Here is a small example. No one told me to create this brochure. I saw the need, began the project, asked others to help, and now you are reading it! If you are in ministry or doing ministry, what are you doing to hand over your areas of responsibility to others? In a practical sense, you may very well be leaving your ministry and heading to the mission field soon. So, who is going to carry it on when you leave? On another level, training others to do what you do (and even doing it better) is excellent practice for missionary life. As a missionary, the ability to train others to do a job and turn them loose to see it grow and flourish is a valid measure of success on the mission field. Practice good relationships now. You have all kinds of relationships at the workplace, at church, in your neighborhood, within your extended family, and in the community. When you get to the mission field your world, in a relational sense, will get a lot smaller. You may be working with only one or two other missionary families. You will not have a family network immediately available to you nor will you have that wide circle of friends you have here in the States. So, having healthy relationships is all the more important. You cannot be indifferent to your relationships on the field as we might be more inclined to do here in the States knowing that we have other people, friends, or family members we can depend on for help or friendship. Practice treating people here as if you depended on them there. “If it is possible, as much as depends on you, live peaceably with all men” (Romans 12:18). The same is true for your immediate family. The missionary life will draw your family closer together in ways you never imagined. However, if you do not learn how to deal with the stresses of life as a family now, the tensions you experience on the field could also potentially have the power to pull your family apart. One valuable discipline you can practice now is serving together as a family as you would then on the field. You will get to know your spouse’s and children’s strengths and weaknesses and how to set them up for success and avoid failures. Coming at the subject of relationships from another angle, if you are single and want to be a mis-sionary, why would you ever date someone who has no interest in missions? You are certainly free to change your mind and decide you do not want to serve as a missionary, but if it is important to you and you think it will be for some time to come, do not settle for someone who does not share your same goal. On the flipside, if you are married and you want to be a missionary, but your spouse does not, you cannot force him or her to share your goal. All you can do is share your desire, pray, and wait. You are not going to be rich on the mission field so practice living here as you would there. If you have debts, aggressively pay them off. Not only is debt one of the biggest impediments to people serving overseas, but by disciplining yourself to pay off your debt much sooner rather than much later, you will naturally force yourself to live on a reduced income. Even if your debts are paid off, put away as much as you can into savings. Not only is it good to save, but once again you will see just how far you are able to live below your means. Begin to look at spending in a different light. What do I want and what do I really need? What things must I have and what things are dispensable? You may have never thought about this before. The real-ity is the options for clothing, food, household items, and electronics will be drastically limited by the lack of availability, different options, or the increased cost of obtaining some of them. Instead of being shocked by what you cannot purchase then, reevaluate your wants now and find out what it is you re-ally do not need. shape now which will certainly help you then? Not to mention, being healthier now will lead to fewer physical problems down the road. to your knowledge of the Bible, it also applies to any other area of teaching or training you anticipate doing while on the field. Furthermore, take what you learn now and put it into practice here. You are not automatically going to become a great teacher/discipler/equipper there if you are not doing it here.  Ask other mature Christians whom you know well what areas of your ministry you can improve upon or where you need to step up your game so you can serve effectively on the field. This might require ad-ditional training or more ministry experiences. Education also encompasses language learning. You are not going to become fluent or conversant in a language using Rosetta Stone, Duolingo, or poring over grammar primers and vocab cards, but it is a start! If you know the language of the region where you want to serve, start learning it. Sure, you will need to go to language school, but why not make it easier by learning as much as you can now? You will develop a basic understanding of the grammar and some vocabulary which will help you acquire the language that much faster meaning that your meaningful ministry will also begin that much quicker. This might be the hardest thing to do now which will prepare you for life when you are on the field, but it is time to change your perspective about what really matters in life. Perhaps the easiest way to do this is by considering all things in light of your eternity with Jesus Christ and the eternity of the lost around you and around the world who do not know Him. When you do so, most other issues in life will fall into place. Paul often thought through these kinds of issues even as it pertained to his own life. He says in his letter to the Romans, “For I could wish that I myself were accursed from Christ for my brethren, my countrymen according to the flesh” (Romans 9:3). Essentially, his passion for his lost Jewish, countrymen was such that he wished he were the one separated from Christ, not them! From prison he writes to the Philippian Church, “But if I live on in the flesh, this will mean fruit from my labor; yet what I shall choose I cannot tell. For I am hard-pressed between the two, having a desire to depart and be with Christ, which is far better. Nevertheless to remain in the flesh is more needful for you” (Philippians 1:23-25). Do I want to die to be with Christ or live for the purpose of bringing others to Him or closer to Him? That is an eternal perspective. When we think this way our possessions, income, comforts, and conveniences do not seem all that significant any more. They are no longer pursuits which drive us day to day, but Christ and His salvation for others takes preeminence in our minds. What begins to happen is that when you think in this man-ner you declutter your life. In essence, it becomes that much easier to pick up and go. No longer do you have the attachment to so many physical things you do not think you can part with, your routines, hab-its, and endeavors which might hold you back. Having an eternal perspective frees you to enjoy your heavenly citizenship (Philippians 3:19) while moving about the earth He created to share His salvation and His Word with the people He created. Now get ready for the adventure of a lifetime!